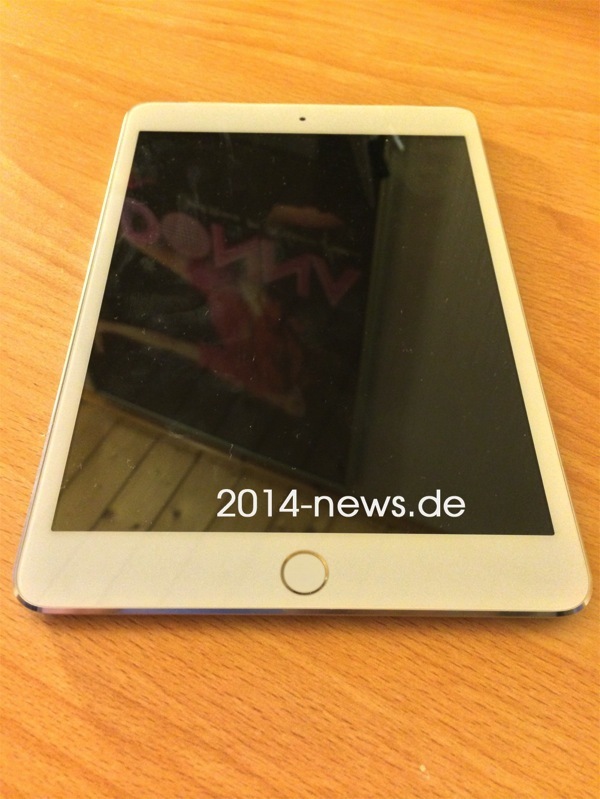 German site 2014-news.de has posted what it claims to be an ‘exclusive’ image of Apple’s next iPad mini sporting what appears to be the Touch ID fingerprint sensor. The colour of the Touch ID ring in the image would suggest a gold iPad mini. Previously ‘leaked’ images have also shown a gold iPad mini similarly with a Touch ID sensor. 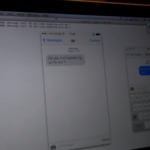 To go along with this image, the site says no Retina display will arrive this year but rather arrive later in 2014. Reuters reported in early October a Retina iPad mini would not debut this year due to component supply constraints. Rumours have been mixed whether Apple’s next iPad mini would come with a Retina display. When the iPad mini debuted last year with a non-Retina display, many Apple customers held off and are expecting a high resolution display this year. Apple’s 7-inch tablet competition is heating up price and spec wise, especially with the recent release of Amazon’s 7-inch Kindle Fire HDX tablet (starts at $254 for 16GB), which has a 1920×1200 display with 323 PPI. The current iPad mini display has a PPI of 163, while the regular sized iPad has a PPI of 264. The site has no real track record when it comes to rumours and such, so take this image with a grain of salt (is that a reflection of a Madonna poster on the screen? ).